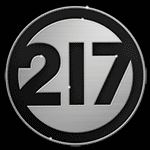 217, Inc. is committed to setting a new standard of customer loyalty and expert service in the Champaign-Urbana community. We service all major brands and work with homeowners, property management firms, contractors, and businesses of all sizes. Our technicians are highly trained and certified to service and install a wide variety of heating and cooling systems. From residential furnaces, air conditioners and indoor air quality accessories, to residential and commercial boilers, geothermal systems and roof-top units, 217, Inc. has you covered! We are known for our quality work and excellent customer service -any time day or night. Come to us for your heating and cooling needs. We offer a large selection of hvac services for everyone. From big businesses to individual residences we will get the job done with fast and friendly service. Our business hours are 8am-5pm Monday through Friday, but you can contact us for emergency service 24 hours a day, 7 days a week. 217, Inc. accepts cash, check and all major credit cards. In Illinois, a dependable furnace is an extremely important thing to have. If you need a repair, an installation of a new heating unit or regular maintenance to keep your system running in tip top shape we are here to help. We service all sorts of different heating systems from standard home furnaces to geothermal, boilers (commercial and residential) and much more. If you are in need of heating related services click here to learn more. Comfort isn’t just about the temperature of your home or business. It’s also about how clean the air is. How humid or dry the air is. Do you have dry itchy skin? Allergies? Mildew? There is a lot we can do to improve indoor air quality. View some of the indoor air quality services we offer here. When it gets hot in Illinois, it gets hot! On those hot and humid days air conditioning units have to work extra hard to keep you cool. Which is a good reason to get on a maintenance plan and keep your unit tuned up and in good working order to prevent costly breaks and repairs. At 217, Inc. we know our cooling systems! If you need to replace an existing cooling system with a unit that is more energy efficient and better suited to your home or business just give us a call. Learn more about our cooling hvac services. This is a service that most people don’t know they need. You might surprised how quickly ventilation systems accumulate dust and dirt. When the heater or air conditioner are running -these allergens are circulated through air. A clean ventilation system means cleaner air and less strain on your ventilation system. See how you can benefit from a duct cleaning. Boilers are our specialty. Our HVAC experts at 217, Inc. have years of experience working with various boilers. Big and small, both commercial and residential boilers. If you are looking into getting a boiler for your new business, or replacing your current one we are happy to help. We also offer special boiler maintenance plans to keep your boiler running in perfect shape. Commercial Rooftop unit installation and maintenance are one of our many specialties. If you need a repair or are considering a new system we have the knowledge to help you get the most out of your system with energy efficient solutions. Learn more about commercial rooftop unit installation, repair and maintenance. A dirty dryer vent is not only a fire hazard it also puts unnecessary strain on your dryer. Use our dryer vent cleaning service to save energy, money, and keep your air and clothes cleaner. Stay ahead of your heating and cooling needs with our service plans. We will keep your units running in the best shape possible and protect you against costly repairs. Save time, money and frustration with our maintenance plans to for all of our hvac services –click here to learn more. We are highly trained and experienced in a wide variety of commercial and residential hvac services for all of your heating and cooling needs. We handle all types of furnaces repairs! Whether it’s gas or electric heating, a floor heating system, geothermal or even an obscure rare old boiler -we do it all! We also offer simple, straight forward, affordable hvac maintenance plans to keep your heating system running well to avoid the need for an emergency furnace repair. Let us keep you warm this winter! 217, inc. is ready to keep you cool during the hot summer months. We offer solutions from economical to high end and everything in between. If you are looking for an energy efficient replacement or want to keep an existing unit running better we have the experience to keep your cooling system at it’s best. We work with all types of air conditioners both residential and commercial. Our hvac experts have years of experience working with commercial, industrial and municipal heating, cooling, ventilation and refrigeration. If you are looking to install a new system and need help determining what solutions best suit your needs, or if you have an existing system that needs work or upgraded; call us today -we are happy to help! Keeping your home safe and comfortable is a top priority. we have the equipment and hvac technicians to cover all your heating, cooling and ventilation needs. Whether it’s keeping your dryer from becoming a fire hazard or reducing allergens and keeping the air cleaner in your home or business -or even a snow melting system for your driveway to melt the snow away this winter so you aren’t shoveling snow all winter!